TL; DR: CES has showcased the newest ideas, products, and companies leading the consumer technology industry for 50 years. Hosted annually in Las Vegas by the Consumer Technology Association, CES attracts thousands of business leaders and pioneering entrepreneurs who push the limits of innovation. From 3D printing to artificial intelligence, CES has moved beyond just high-tech devices to explore how evolving technology impacts the future. We’re here to help you navigate the massive event halls by outlining five things we’re most excited to see. A hit from the start, the first CES attracted 117 exhibitors and 17,500 attendees to New York City in 1967. Always featuring futuristic, incredible innovations, the inaugural CES did not disappoint: black-and-white TVs, transistor radios, and the world’s first stereos. 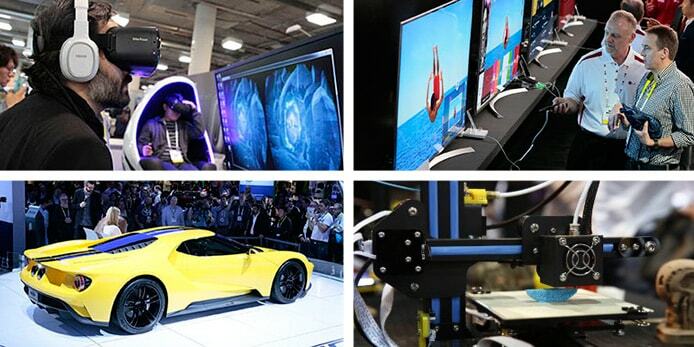 Since the event’s start, CES has grown tenfold and now spans nearly 2.5 million square feet of exhibits in Las Vegas. Thousands of exhibitors now display mind-bending technology that goes beyond household audio and video equipment to include drones, virtual reality, robotics, self-driving cars, and wearable technology that seamlessly integrates and improves your lifestyle. CES is where technology lovers go to see the newest innovations in virtual reality, televisions, cars, and 3D printing. From handheld scanners that detect the nutritional value of food to gesture-controlled cars, more than 7,500 members of the media captured last year’s innovations and impacts — 1,700 more than who covered the 2016 Olympics. While this year’s innovations remain closely guarded secrets, we’ll peel back the curtain on some of the technological indulgences headed our way from this year’s show. CES is divided into three regions across Las Vegas. Tech East covers augmented reality, drones, gaming, and self-driving technology, while Tech West focuses on 3D printing, family technology, robotics, smart home products, and wearable tech. 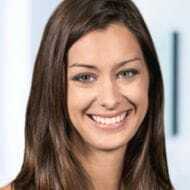 Tech South will host conference sessions about the relationships between brands, entertainment, and technology. The show runs January 5-8, with registration passes ranging from $700 to $1,700 depending on when you register and how many sessions you want to attend. CES 2017 boasts keynote speeches from industry leaders who will share insights into how their companies include new technologies to steer new products and customer service. Jen-Hsun Huang, Co-Founder and CEO of NVIDIA, will kick off CES 2017 with a pre-show address on January 4. NVIDIA, which invented the graphics processing unit, now focuses on artificial intelligence, self-driving cars, virtual reality, and gaming. Arnold Donald, CEO of the Carnival Corporation, will make the opening keynote address on January 5, unveiling the cruise line’s new guest experience, which will use Internet-of-Things devices to provide a more personalized and simplified vacation for their customers. Richard Yu, CEO of Huawei, will showcase the company’s vision for a global model of innovation that afternoon that encourages collaboration and faster adoption of new technologies. His vision for mobile innovation includes sustainable product development. Carlos Ghosn, Chairman and CEO of Nissan, will speak later that day to discuss a “major technological breakthrough in the realization of a zero-emission, zero-fatality world for everyone,” according to the CES press release. Steve Mollenkopf, CEO of Qualcomm, will discuss the revolutionary impact 5G networks will have on both consumers and industries on the morning of January 6. The company has expanded into the Internet of Things with wearable, automotive, and healthcare devices. Kevin Plank, Founder and CEO of Under Armour, will update the athletic apparel company’s vision for connected fitness that afternoon. UA HealthBox, a suite of products to help athletes track their health, reach goals, and perform better, launched at last year’s CES. If you plan on attending CES, seating at keynote speeches is first-come, first-served. Otherwise, you should be able to find plenty of live-streaming opportunities. From sleep trackers and silent alarms to bedroom lighting and smart beds, lifestyle technology has grown to the degree that CES organizers are opening a Sleep Tech Marketplace sponsored by the National Sleep Foundation. By gathering metrics about sleep patterns and needs, technology helps improve consumers’ overall health. Usually grabbing the most headlines at CES of late, driverless technology debuted at the 2013 show and remains among the most popular areas. Now including parking assist, collision avoidance, emergency braking, and zero-emissions capabilities, automakers flock to CES to show off concept cars of the future. With the number of smarter and more efficient homes increasing daily, the Smart Home Marketplace will be another of the most traveled exhibit halls. Smart appliances emerged at the 2011 CES, and the industry has grown to include everything from window coverings and thermostats to irrigation systems and door locks — and the one remote to control it all. Wearable inventions aren’t just for humans — the Link AKC Smart Dog Collar lets owners track lost pets with GPS, monitor their physical activity, log vet records, and make sure they don’t run a fever. The Wearables Marketplace will feature everything from high-tech fashion to smart jewelry that tracks your mood and activity levels. Now, CES has evolved from home audio and video appliances to cover nearly every industry: There’s a baby tech marketplace, along with areas covering beauty, health, education, and sports. Car makers flood the program with current and emerging technology — in fact, GM made waves when they unveiled their electric Chevrolet Bolt at CES 2016 instead of at the main North American auto show a few weeks later. That expansion into all facets of technology prompted the organization behind CES to rebrand from the Consumer Electronics Association to the Consumer Technology Association in late 2015. 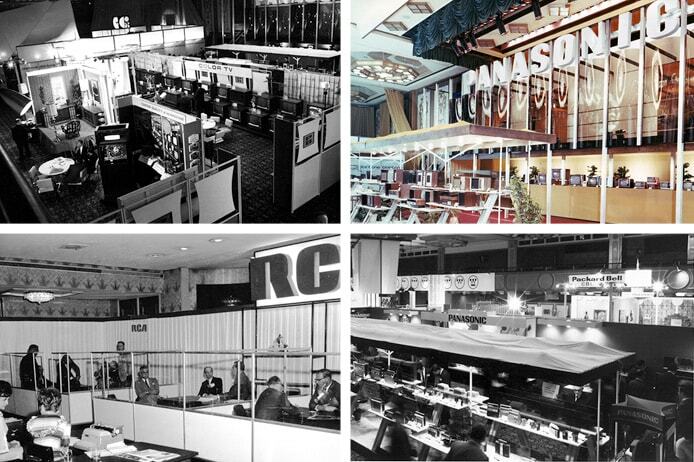 The exhibit hall at the first CES in 1967 showcased familiar brands that are still innovating and appearing at CES. Beyond all the cool new gadgets and space-age technology, however, CES also hopes to discuss real-world implications and impacts innovation has on our lives. SuperSessions feature emerging companies and senior executives sharing their past experiences and predictions for the future. At CES 2017, for example, the CTA will host conversations with the Federal Communications Commission and Federal Trade Commission about the challenges presented by the rapidly changing tech landscape. Other SuperSessions will examine the vast impact of artificial intelligence and smart homes. Of the thousands of exhibitors throughout the years, only 37 have appeared more than 40 times. Ten companies were at the first CES and will be at this year’s event: 3M, Lenovo, Memorex (now MEM-CE), Philips, Sharp, Sony, Toshiba, Voxx International, and Westinghouse. Technology giant Panasonic is the only business to have appeared at all 50 shows. All the companies will be recognized at a special gala this year. Also receiving recognition are 30 products that were awarded the Best of Innovation Honorees designation. Spanning everything from a 3D printer and a smart bed to a smartphone app that uses artificial intelligence to assist the blind and visually impaired, the honorees were recognized for outstanding product design and engineering and will be on display at CES 2017.